Epson’s new SC-P800 opens the door to a new generation of professional photo printers. 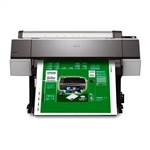 Experience more printing flexibility than ever before. 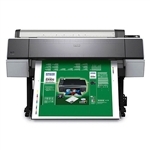 Get best quality giclee prints with the Epson 7900 24" wide format printer. Expert advice and support from the team at Chaudigital on how to use the 7900 printer to take colour and black and white printing to the highest level. Experience the widest colour gamut available with the latest Epson UltraChromeTM HDR pigment inks. latest Epson UltraChrome HDX pigment inks.